North Carolina state Senate leader Phil Berger says his fellow Republican legislators have struck a deal with governor Roy Cooper to repeal House Bill 2 hours before an NCAA deadline that would have eliminated all scheduled NCAA championship events in that state until the year 2022. HB2—an anti-LGBT bill that restricted the rights of transgender people—eliminated local governments’ abilities to raise the minimum wage, banned cities from passing their own ordinances to ban discrimination, and most famously required transgender people to use the labeled bathroom matching that on their birth certificates. Some of the state’s most prominent sports figures spoke out against the bill, while the NBA moved the 2017 All-Star Game out of Charlotte and the NCAA moved the ACC championship game to Orlando. The NCAA initially gave North Carolina until the end of February to knock down the bill, but later changed that to this Thursday, per the Charlotte Observer. It seems as if the NCAA’s pressure was enough to get the state’s GOP-led legislature to get a last-minute deal done. Although the original bill looks like it’s dead, Democrats offered significant concessions and several discriminatory regulations appear to still be in place. 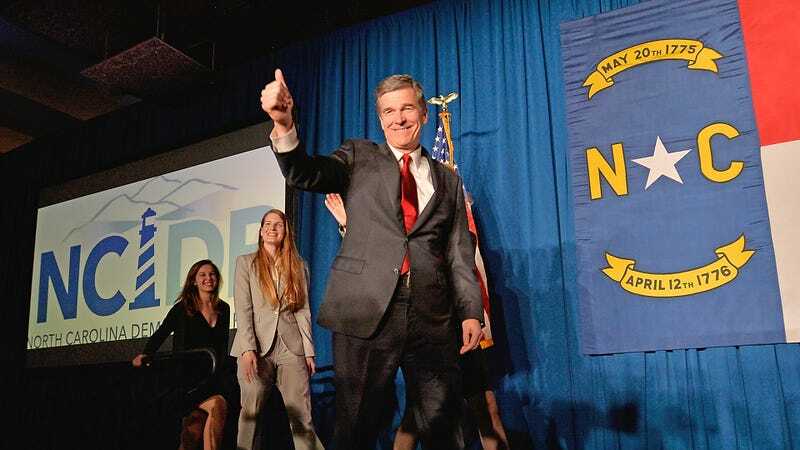 Governor Cooper even described the compromise as “not a perfect deal,” while disgraced former governor Pat McCrory voiced support for it. Even if HB2 is technically dead, it looks like some of its worst regulations will live on. Coach K Says He Doesn&apos;t Want To Get Political, Proceeds To Call North Carolina&apos;s HB2 A "Stupid Thing"